Timber - All our cabins are manufactured from slow grown timbers of the Baltic forests. Please note : All wall logs are now cut with square ends. 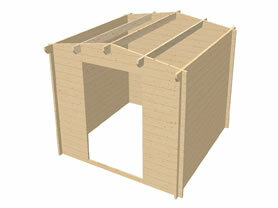 All included in the standard kit with our garden buildings ! Note: The overall height of this cabin allows it to be constructed without planning permission as close as 500mm to your boundary. 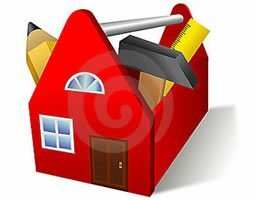 See our guide to planning permission here. 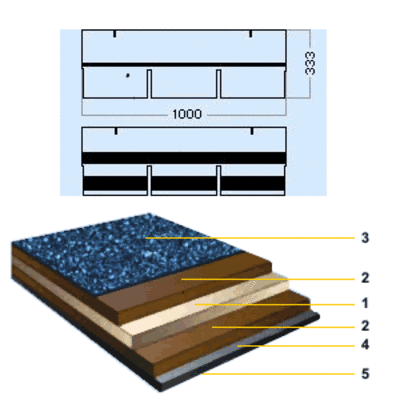 Not included - Roofing felt or felt shingles. These are available as optional items. All glazing is supplied as "plain" glass. Georgian bars are supplied with the kit and can be fitted as required. We can supply additional doors and windows for your cabin. Delivery charges depend on your location. Most of central UK is FREE delivery, but to check our rates for your area, Click Here. Why Use Garden Adventure ? The veranda is 1400mm (4′ 7″) deep and 3000mm (9′ 10″) wide to match the width of your cabin. All windows and single door units are pre-mounted in their frame. The frame sits in the wall opening and the framing boards then "sandwich" the frame to hold it in position - this allows the wall logs to move independently of the frame. Double doors work in the same way, but you are required to put the pre-cut frame together and screw the corners to hold it together. Generic - This shows all the required techniques and timeline for installing your cabin. Cabin Specific - This guide gives you the plans and wall board locations for a particular cabin. 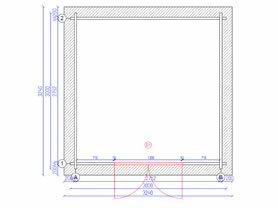 The units will be supplied complete with frame boards to mount the item into the opening. To purchase these units, please call the office. For the full specification of these units, please see this page. Upgraded premium doors and windows. To work out the extra cost of these high quality units, note how many and which units any of the cabins have and add up the difference. The price quoted is per unit. You will need to provision a prepared base, this must be firm, level and stable. These can also be supplied and fitted by installers if required. If the installation team are not satisfied with the condition on arrival, further charges may be made for rectification work in order to proceed with installation. At worse, the installation may have to be postponed, with a chargeable fee of 30% of original costs for a second visit. By agreeing to installation you accept these terms. Due to scheduling it may not be possible to cohttps://admin.gardenadventure.co.ukincide delivery and installation on the same day, but generally, installation is carried out within a few days of delivery. The installation team will require access to 240v power supply. Extension leads will be provided. Guarantee - 12 months on workmanship. All packaging will be left in a tidy state but disposal is the responsibility of the customer. When adding installation into the basket, you will only be charged a £30.00 retainer. 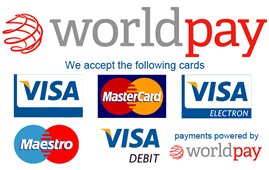 The balance for installation will be paid directly to the installation team on satisfactory completion of the install. External and internal timber treatment. Insulation for under floor and ceiling. 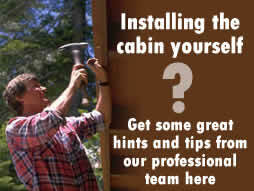 Have you installed this cabin ? Your email address is requested so that we my reply to your message, at the very least to say "thank you" for your contribution - It will never be shared to any other organisation.